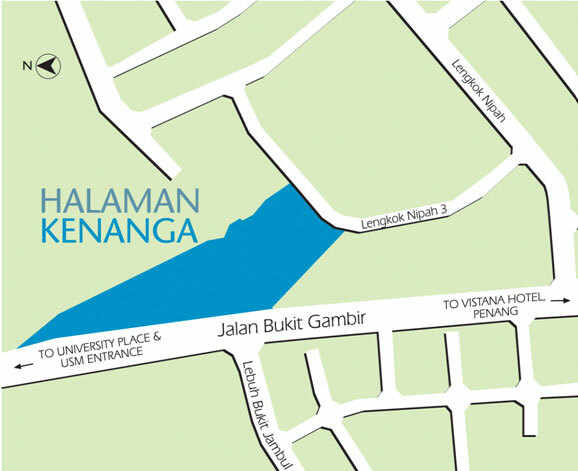 Halaman Kenanga apartment is strategically located at Sungai Nibong, Penang. 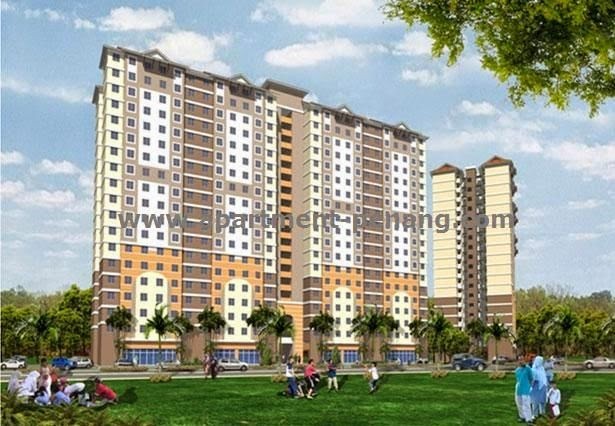 Easy access to the Penang bridge, Bayan Lepas Industrial Area and Georgetown. Public amenities such as shops, markets, schools and eateries just within the vicinity. 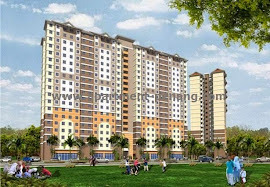 Halaman Kenanga consists two 22-storey apartment blocks. 200 units of low cost apartment and 514 unit of low medium cost apartment. Built-up area from 680 sq.ft - 700 sq.ft. Built-up area : approx. 680 - 700 sq.ft. Can I know whether Halaman Kenanga already sold out? What was the starting price for 700sqf apartment and also the estimated maintenance fees? If none mistaken, you have to registered with MPPP to be eligible to buy one. My relative tried, but rejected as quota full. Thanks for ur advice. Btw, do u know probably wat is the quota provided? What is the status for this project? Iterested on the project, but, worried abt the car park. still under construction! anyone have a unit? This is Good location. anyone have the latest news about this project? * my friend sucessfully got a unit there, now waiting for loan approval. Here would like to share the info i know. When will this project OC? Seem like the carpark is the most concern point for the area. For the 700sf, anyone can apply? Just curious is there a cemetery near by?? Joseph, if the story you mentioned above is true, pls prove it with links or documents!! !otherwise, pls do not simply create a story in this blog. Joseph the cemetery is beside the carpark not below the flats. It is not facing the T-Junction as the entrance is actually the other side. Which part of penang is not congested ?????? hi everyone, the unit is not belong to freehold. and its leasehold 99 years. just wonder there will be how many entry there??? The building is already ready, OC they yet announce on it. We do call and check with them, they mention about Dec 2010 - Jan 2011, working in progress. One unit is entitle to buy one car park with RM15k. Those who do not want their car park, it will open for the rest who interested to have it, same price RM15k by draw lot as many of them want to have 2nd car park also. As of now, we have submit the name to draw for 2nd car park, they yet get back to us for any update. Those with income x <=2500 they will be offer low cost unit as could. Those with income x>=2500 will definitely been offer for 700sf. Oh ya, one more thing it is a lease hold even though in their official website it does listed freehold instead. How long will us live? How long will Earth exist still? Let’s happy and own our 1st ever home sweet home first. There are few cases Leasehold converted to Freehold, just patient enough waiting will do, cheers. Purpose is for investing? After 10 years, the unit price almost same for Leasehold and Freehold. Thinking of giving your Freehold unit to your next generation, after 99 years a building is still there, how safe it is? Like what Chandra said, which part of the Penang island is not congested? Now a day Penang mainland is getting congested for the same. If you manage to pay RM300k and above (apartment and above), RM500k and above (landed), then you have the choice to choose x < High Density area. Does anyone know in this earth, any pieces of land do not have dead body before? In term of fengshui, those place chosen to become a Cemetery before are strategic places and good in fengshui, HUAT AH! The more facilities you have, the higher the maintenance fee you need to pay no matter you are using it or not. If you do have facilities such as Children Playground, Community Hall, Car Park, CCTV Security is sufficient enough and good enough. Swimming Pool: Usually it come with 4 feet deep only, if you really like to swimming, it won’t fulfill your desire. Tennis Court: Only those high class condo will have. How many people know how to play tennis? Gym Room: After x> 5 years, the equipment are getting almost broken and you won’t interested to visit due to it condition. Only those who are discipline enough will only visit their housing area facilities Gym room frequently, lol. In Summary, let own our 1st home sweet home first with our capability. Probably, this property will be an ideal place to stay and will be a good deal for investment purpose. As USM is around the corner, it is a good prospect for future. Thanks for the reply and the answer. still got unit to apply? I love the conveninece palce. 75k +15k = 90k. this is very very cheap nowaday. 90k installment for 30yr = ~RM450/mth, I think most of the Penang ppl can affort this price. i heard from the guard saying that units above 7th floor(low-medium cost units) come with mosaic floor. Yes, correct. The upper floors come with tiles flooring. Was told OC will only b obtained in around July-August 2011 . The building seem like completed. Why take so long for VP and OC? Any reason? dear captain for my experience with my frend OC procedure not only like say apply oc and get oc.developer have a get support letter from 14 or 15 department after inspection from authority,likes pba,tnb,iwk,jkr, many department from mppp,bomba and many more.after get a support letter,developer can apply oc from coucil.it is takes time. just own one unit.. the corner unit in block A. The OC will obtain in July to August tentatively. if i apply from goverment,when that i know i get it this house or not??? If i apply from MPPP, when i can know whether in get this house or not??? developer will send you a letter when you successfully get a lot from government. if you reject more than 3 times (different lot) they offered you, end of story, you won't get it anymore. the longest time i heard so far only get their first lot offer = 20 years. !_! if you submit the form and applying it now, i don't think you will get halaman kenanga already. however you got a chance to get other lot in different location. the earliest time you submit and apply, the faster you can own your own home soon, good luck. i guess no more unit available, as all this lot need applying from government instead. go and submit the form and applying now. soon they will offer you a lot and you can own your home soon, good luck. my fren got a lot there, plan to rent it out once OC obtain. interested to rent it, let me know la. don shy, feel sad to submit and apply from government. although it is just low (rm45k+), low-medium (rm75k+) cost lot, 650-700 sf, it is affordable and we don have to much worry on developer run away cos government will chase after them. According to the developer , OC will probably b ready by mid of this year . Latest by July 2011 . Cheers . May i know how to apply ? where to get the form and submit? any term and condition? Go to the Penang States Government site. It'll guide you thru on the application . GL to future owners & congrats to owners of Halaman Kenanga . I just gotten a confirmation from PDC customer service rep that OC can b obtained latest by Mid July . Cheers to that . any requirement to apply from government low cost flat? the project is slow the OC keep on delaying donno what pdc is doing seem like the project do nothing in this few month are they got financial problem kah? I guess ,maybe they are having some financial problem.They told OC will be obtained by mid year..but now they are dragging to year end or beginning of next year.When asked what makes the delay...they're answer is 'WORK IS IN PROGRESS'inside the building. Delay is the trademark of PDC Properties. Nothing to surprise when you know them too well. The way they work like old-time government, incompetent and slow. Despite changing in Govt but attitude remain the same since established. pdc officer say only early next year can get oc . why the delay .. anyone knows? where is the children playground,inside the building????? what is the different between low cost and the other cost?????? Recently I went to the site to check it out why the OC and etc had been delayed. I am surprise to see that the ground floor carpark roof has been taken and dismantle out? Is anyone know why??? This create suspicious that PDC is having lack of fund or in other words having financial difficult for payment to contractor. My view after that visit, when can obtain OC is that it going to be end of first half or another inaccurate promises by PDC staff saying maybe in August 2012. One more I would like to share with all is with regards to the floor tiles as promise, I got the info from one of TNB staff happen to met him during my visit, what he told me is that there are no floor tiles for 8fl and above as promised. Same like below low cost. Anyway, how true the info is I personnaly don't know. Thanks and Cheers to All! Visit PDC office on friday 01/13/2012 and they informed that OC is going to be obtained at end of March 2012. We plan to rent out the unit there once it is ready. stay tuned for those intersted to rent and stay over there. if they are sending you approval letter saying that you can apply those low/low medium house, nothing much you need to do, they just informed you only and now you are on their list. when they sned you the letter which contains the project they offer you, then you have to go to that place according what stated on letters and prepare the documents needed to apply the house. No one want this apartment.. Sure got a lot of bangla. Halaman Kenanga OC obtained already. Settle the payment and can get the key already. can i know when rm42,000 (lower cost) can get oc??? the OC already obtained for whole building, low or low medium cost. so now it depends on you/your bank had release all the payments needed by PDC, then you can get the key. i'm so happy,atlast i got the house key last week friday..i bought low medium cost,whole house the put nice design tiles for us.but only i hate is beside my door at wall got water pam paip..not for my house only..others house also...and infront of my house always wet....tomorrow i'm going to complain about this to pdc...they must do something ...if not my house will look dirty with water leaking..
at 8th floor got play groud..i just love it..can take a rest over there. I've got my key to the apartment. Thank God finally I own a house. It's nice. Thank You for those who made my dream come true. Now market price at RM200K - RM300K it seems..